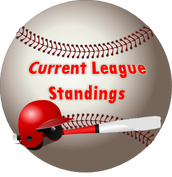 This Site is where players, coaches, and spectators can come to view current LDATL standings, team schedules, and other information regarding the Latrobe Derry Area Teener League. Players can view their upcoming schedules while parents can gain information about the coaches and registration for their kids. Thanks to everyone who makes LDATL possible every year! Hope to see you at the field! The Latrobe Derry Area Teener League Field, or the Rosa/Oglietti Field, was overhauled for the 2004 season in a project we've titled "Field of Dreams". As part of the renovations, the Timken Latrobe Steel Co. Pavilion was constructed. The pavilion was officially dedicated on opening day, Saturday April 17, 2004. While the creation of the pavilion is the most noticeable change that the 2004 season brought, there were many other improvements made to add to our guests' enjoyment. These updates include the renovation of the dugouts, administration building and concession stand. Another new feature favored by our players is the new batting cage. The addition of the new facility along with the renovation of existing facilities has provided guests with a more enjoyable and relaxing experience. We encourage you to join us this season as we participate in America's national pastime - Baseball. In case of questions, comments, or emergencies, contact should be made via telephone to an officer of the league. Unanswered calls or messages will be returned as quickly as possible. Latrobe-Derry Area Teener League, Inc.